Kids Pass Discount Code just 99p !!! 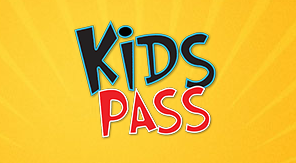 Guys I have stumbled across this great deal which means you can grab a Kids Pass Discount Card for just £10 !! This discount code seems like an awesome deal to me as the card will currently set you back around £15-£20 with most offers (well over that without codes. I have checked out the seller and they have good feedback including that from someone who purchased this offer confirming it worked exactly as it says on the tin.